With a standby generator, you can have instant power within seconds of an outage. You can keep the lights on and ensure all other electrical components continue running. Imagine if you were to experience a power outage and you didn’t have a generator. Your business operations would come to a stop, potentially costing you a lot of money during the downtime. A standby generator can give you peace of mind that you won’t have to lose productivity should an outage occur. 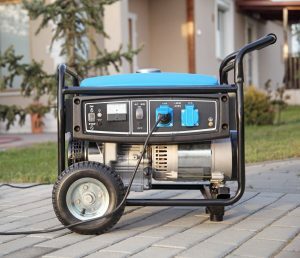 A generator can protect your electrical system from the power surges that happen once the power is back on. Too much power all at once can damage electrical components, but a generator only transfers power back to the utility line once the voltage is stabilized, which greatly reduces the risk of electrical damage to your equipment. Make sure you’re prepared in the event of an outage. The knowledgeable technicians at NB Sales and Service can help you choose the right generator for your needs. Contact us today for generator service in Bakersfield.